Units of local government spend a lot of money on their emergency medical services (EMS) system, including the ancillary services that support it. While a municipally operated ambulance service may generate net revenue (most do not), there are a wide variety of EMS related costs that payers do not reimburse for. The proportion of medical calls that the 9-1-1 communications center(s) handle is not reimbursed by insurance companies or private payers. Nor are the costs for non-transport medical first responses, typically provided by fire rescue utility trucks or fire engines. Consider that the overwhelming majority of most fire department responses are to medical calls. Consider that fire department budgets represent a significant portion of the overall municipal budget – and that this will be true regardless if the ambulance service is operated by local government, a private company, or by local hospitals. Therefore, it’s entirely appropriate for senior appointed and elected officials to question what impact those huge annual EMS-related expenditures of public funds have actually had on how well the processes of emergency care were delivered. Unfortunately, most communities have absolutely no idea what those process or patient impacts were. While many communities measure EMS-related response times, it is important to recognize that getting EMS crews on the scene quickly is important, but it does not equate to high-quality care. It’s generally not fair to hold EMS accountable for most aspects of patient outcomes because the majority of care takes place in hospitals and other settings. However, it is entirely reasonable to hold EMS accountable for the proper and timely completion of the processes that research has shown directly impacts patient outcomes. This is a major blind spot in most communities – especially when you think about how much money is spent supporting EMS and how little is known about the impact that the EMS system actually made on the processes that directly influence patient outcomes. This presents a significant opportunity for municipalities to improve their stewardship of these public funds. A good place to start improving this stewardship is by establishing mechanisms for measuring and publicly reporting EMS system performance beyond simple response times. Publicly reported EMS performance measures should have a clear relationship to patient outcomes and they should be able to be influenced by the EMS system. For example, EMS can control how well it completes a set of recommended procedures on a patient that is suffering a serious form of heart attack called a STEMI (S-T segment elevated myocardial infarction). Research can establish that timely completion of that set of procedures (called a ‘care bundle’) does, in fact, improve outcomes. However, EMS cannot control the general health of the person who has a heart attack, yet their general health will be a significant factor in the probability of the patient surviving long enough to be discharged from the hospital to their home following the heart attack. This is why, for EMS, it is often preferable to measure the performance of outcome related procedures than the actual outcomes. In this example, the public reporting could show the percentage of eligible patients with the serious heart attacks where EMS delivered the complete set of recommended processes within recommended time frames. Without complex statistical analyses, called risk-adjustment, it would not be appropriate to hold EMS accountable for STEMI patient outcomes. To maximize the impact of this effort, the public reporting should be readily visible to key stakeholders – not buried deep inside an obscure website. Consider sharing results through a quarterly announcement/press release to all local senior appointed and elected officials, EMS-related department heads, hospital administrators, and the news desks of local print, broadcast and social media. This distribution will increase the political capital at stake with the results. When EMS does well and/or shows trends of improvement, they will increase their political capital and conversely when they do not. This creates powerful non-financial incentives for EMS to do well in a way that measures what’s fair to hold EMS accountable for, gives some measure of return on investment to senior appointed and elected officials, and is focused on things that matter to patients and the community. 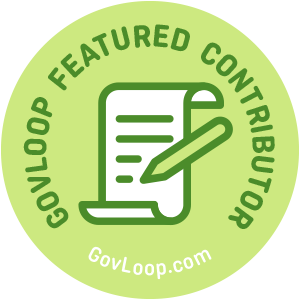 Mic Gunderson is a GovLoop Featured Contributor. He has been involved in emergency healthcare for over 40 years in various leadership, educational, and clinical roles. 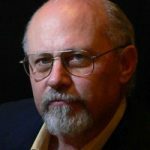 Currently, he is the President of the Center for Systems Improvement where he provides consulting and training services related to emergency systems of care and EMS systems. Read his posts here.